RFI (radio frequency interference) respectively EMI (electromagnetic interference) behavior is very important in nowadays electronic devices. We show how the characteristic of a standard RFI or EMI filter can be measured using the Bode 100. RFI (radio frequency interference) respectively EMI (electromagnetic interference) behavior is very important in nowadays electronic devices. We show how the characteristic of a standard RFI or EMI filter can be measured using the Bode 100. 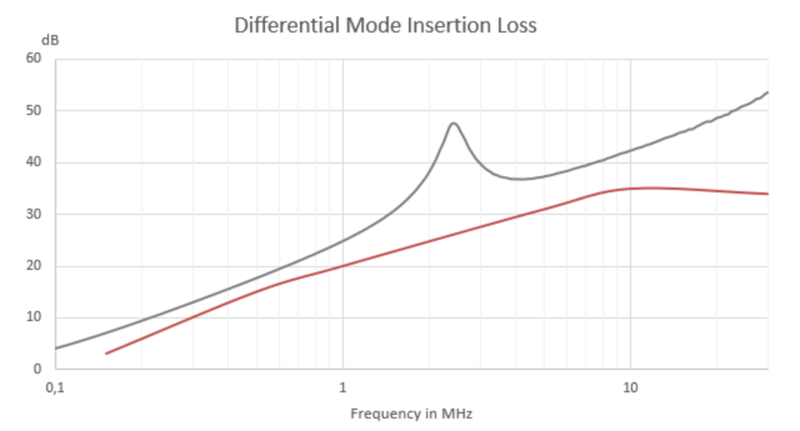 This application note shows how the common mode and differential mode insertion loss of a standard power inlet filter can be measured using the Bode 100. 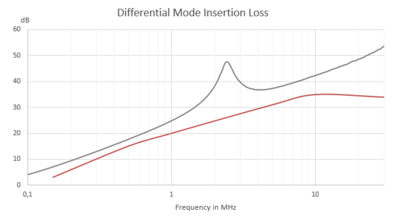 This application note describes how to derive a wideband model of an EMC filter using the Bode 100 vector network analyzer.